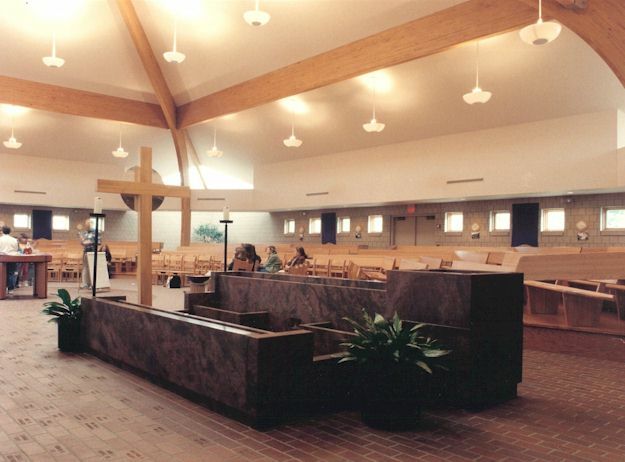 This contemporary worship space has an “in-the-round” layout with a centrally located altar and pulpit surrounded on all sides by the congregation. Traditional materials, including brick and natural wood, provide a sense warmth. The custom, sculptured, baptismal font allows individuals to walk into the water much like early Christians did. A new commons area, offices and education wing compliment the worship space. David Fleming served as Project Architect from design through construction on this project, prior to forming his own firm, DRF DESIGN.